IN THE FINANCIAL world, LIBOR is a staggeringly important number. The London Interbank Offered Rate—supposedly the rate at which banks can borrow unsecured from one another—is the benchmark for interest rates on around $260trn-worth of derivatives, loans and more. Over $200trn-worth is in dollars. But the number’s number is up. An ever-thinner underlying market and a rate-fixing scandal have prompted regulators to seek replacements. 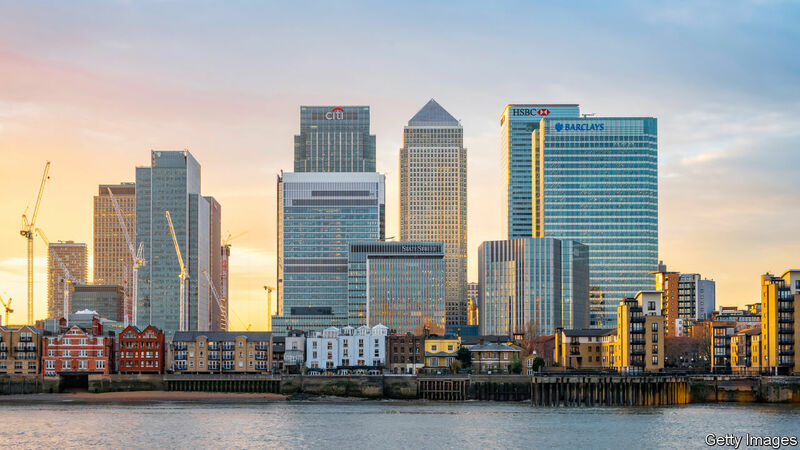 Britain’s Financial Conduct Authority has told banks that they need no longer supply estimates of their borrowing costs, on which LIBOR is based, after the end of 2021. Regulators everywhere would like markets to switch to overnight interest rates. In a paper published on January 24th, ICE Benchmark Administration (IBA), which has produced LIBOR since 2014, says that overnight rates are widely accepted to be well suited to derivatives, which make up the vast bulk of LIBOR-pegged products. But it sets out an alternative that it thinks may be a more fitting substitute in pricing loans. Loans make up a small share of the LIBOR universe, but that is still a large sum. At the end of 2016 between $4trn- and $5trn-worth of American mortgages and business loans had interest rates linked to dollar LIBOR. The great advantage of overnight rates lies in the sheer volume of transactions on which they are based. The Federal Reserve, for example, favours the Secured Overnight Financing Rate (SOFR) as a replacement for dollar LIBOR. SOFR measures the cost of borrowing cash overnight using Treasury securities as collateral. Lately volumes have been around $1trn a day. By contrast, the world’s 30 “globally systemically important” banks raise more than $1bn in unsecured one-month and three-month funding on only about one day in two, according to the Alternative Reference Rates Committee, a group convened by the Fed to identify a LIBOR substitute. Some banks’ reports to IBA of their borrowing costs are merely their best guesses. IBA’s paper points out that overnight rates lack two of LIBOR’s useful features. First, whereas LIBOR reflects banks’ unsecured funding costs, overnight rates like SOFR are virtually risk-free. Second, overnight rates by definition lack forward-looking term structures—the cost of borrowing for the next three months, say—although regulators are looking into ways of devising them. With LIBOR, term structures are built in. A company with a loan pegged to three-month LIBOR fixes its interest payments three months in advance. All this might not matter much if the two moved in near-lockstep: banks and borrowers could simply replace LIBOR with SOFR and adjust the markup. But between mid-2014 and mid-2017 the premium of three-month dollar LIBOR over an average of SOFR ranged from about five to 50 basis points (hundredths of a percentage point). In a crisis overnight rates might fall as investors run for safety, even as banks’ unsecured funding costs go up. Oliver Wyman, a consulting firm, has calculated that in 2000-17 the gap between three-month LIBOR and a proxy for SOFR averaged 36 basis points, but spiked to 460 points in 2008. Unlike LIBOR, the proposed new benchmark, the ICE Bank Yield Index (IBYI), is based wholly on transactions. It uses two types: international banks’ unsecured funding rates in the primary market (commercial paper, institutional certificates of deposit and interbank funding); and yields on banks’ bonds of various maturities, implied by trades in the secondary market. Banks have increased their use of the bond market since the financial crisis. IBA uses a least-squares regression to estimate a daily yield curve from those data points, showing the rate at which the average bank can expect to raise unsecured funds for different periods. (It gives primary sales, which average $94m each, a much bigger weight than the secondary deals, which average just $3.2m.) One-, three- and six-month benchmark rates can be read from the curve. IBA has calculated a preliminary version since the start of 2018, drawing on about 50 primary transactions and 100 bond trades a day. The one-month IBYI averaged 2.03%, just a basis point below LIBOR; the three-month rate, at 2.29%, was three points below. Although IBYI and LIBOR tracked each other fairly closely, outliers in the data caused a couple of gaps of 10-20 points. One question IBA poses is whether to exclude outliers. Since banks and borrowers value stability (and IBA already discards the highest and lowest few rates reported by banks before calculating LIBOR) this makes sense. If the market likes IBYI, IBA expects to launch it in early 2020. Of course, IBA has a commercial interest at stake. Market participants pay to use its benchmarks. Regulators will object that IBYI’s transaction base is still only a tiny fraction of that for SOFR. It is untested by crisis. And lenders and borrowers will not be able to disconnect themselves from overnight rates entirely, if they want to hedge their interest payments. Yet the index may be a decent answer to the question: what is a good benchmark interest rate for loans? It might even be a possible “fallback” rate for existing LIBOR-linked contracts, including some derivatives, after LIBOR’s demise, soothing a severe legal headache. But these are matters for banks and borrowers to decide.